NASBA kicked off the month of June by serving as host to its 2014 Regional Meetings. 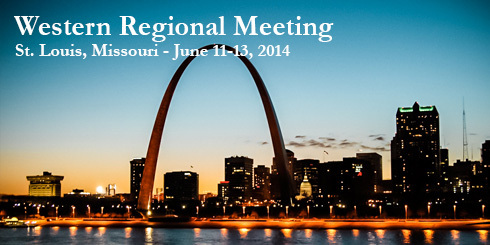 All roads led to the nation’s Show-Me State (St. Louis, MO) for NASBA’s Western Regional Meeting, held June 11-13. 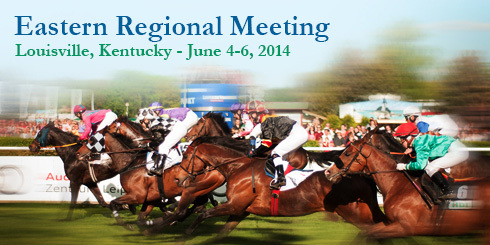 The Western Regional was preceded by the Eastern Regional Meeting held in the Bluegrass State (Louisville, KY) June 4-6. Over 213 members attended the annual meetings representing 43 Boards of Accountancy. Held each summer and open to all members of the 55 U.S. Boards of Accountancy, NASBA’s Regional Meetings provide a two-day forum for Board of Accountancy members and staff to discuss the issues and new regulation developments facing the accounting profession. Phillip M. Layne of the Kentucky Board of Accountancy opened the Eastern Regional with a rousing welcome message. Attendees of the Western Regional Meeting were welcomed by Robert Helm from the Missouri Board of Accountancy. Uniform Accountancy Act Issues by Kenneth Odom, CPA, Rabren, Odom, Pierce & Hayes, P.C., and Noel Allen, Esq., Allen, Pinnix & Nichols, P.A. Legal Heads Up by Noel Allen, Esq., Allen, Pinnix & Nichols, P.A. Along with the presentations were updates and Q&As from NASBA’s executive leadership, as well as panel discussions and breakout sessions for the regions on various topics. The meetings also featured a panel presentation from recent NASBA Accounting Education Research Grant recipients, including Dennis Bline, Ph.D., Bryant University; H. Fred Mittelstaedt, Ph.D., Deloitte Foundation Professor of Accountancy at the University of Notre Dame; and Bradley Steven Trinkle, Ph.D., Mississippi State University. For new members of the Boards of Accountancy, a one-day orientation and networking reception was held to help them become familiar with NASBA and their new Board roles. Take a look at NASBA’s YouTube channel to watch presentations from the 2014 Regional Meetings.